The contest is over. And the winners, chosen randomly, are Ronald Oliver and Michelle Tucker! Congratulations! Please email your mailing address to lhlerman@gmail.com before March 12 to claim your prize. 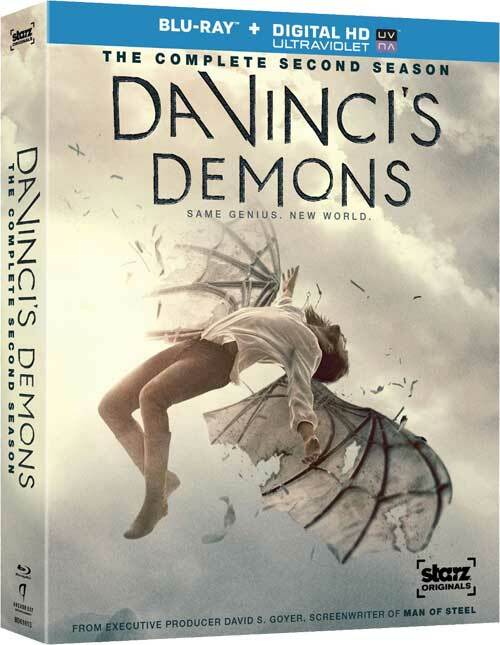 The second season of Da Vinci’s Demons, Starz’s adventure-fantasy series about Renaissance Man Leonardo da Vinci and his time-tripping escapades as he cavorts in-and-out of his own reality and time, arrives on disc on March 3 and Disc Dish has two Blu-ray editions to give away to a pair of lucky readers! 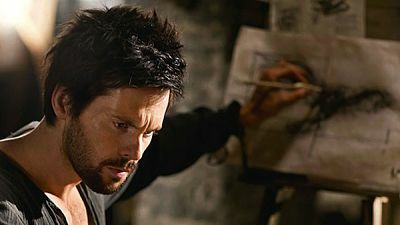 Created by David S. Goyer, the show stars Tom Riley as Leonardo. This giveaway runs through midnight, Tuesday, March 3, and the winners will be chosen at random and announced here on March 4. So, make sure you check back to see if you won! NOTE: The contest is only open to readers who are 18 or older and in the U.S. Prizes cannot be shipped to P.O. boxes! I FOLLOW DISC DISH ON FACEBOOK. I FOLLOW DISC DISH ON TWITTER. I’m a Disc Dish email subscriber. I Like Disc Dish on Facebook. I follow on Twitter (@InfiniteMidnite). I FOLLOW DISC DISH ON THE INTERNET. I USE FACEBOOK TO FOLLOW DISC DISH. I USE TWITTER TO FOLLOW DISC DISH. Liked Disc Dish on Facebook as Austin Baroudi. Subscribed to Disc Dish by email. Shared on Pinterest as Austin Baroudi. Shared on Tumblr as Austin Baroudi. Shared on StumbleUpon as austieb7. Daily share on Pinterest as Austin Baroudi. Daily share on Google+ as Austin Baroudi. Daily share on Tumblr as Austin Baroudi. I ALWAYS USE TWITTER TO FOLLOW DISC DISH. I ALWAYS USE FACEBOOK TO FOLLOW DISC DISH. I ALWAYS USE MY INTERNET TO FOLLOW DISC DISH. Liked Disc Dish via Facebook. I follow @discdish on Twitter (@InfiniteMidnite). I like Disc Dish via Facebook. I’m a subscriber to Disc Dish by email. I liked you on Facebook (Flip Sweeper). I USE FACE BOOK TO KEEP UP WITH DISCDISH DAILY.